Skutik Bongsor Yamaha NMAX has not only managed to attract less consumer attention than the last two years in Indonesia. NMAX is also able to steal the hearts of consumers in the European market. Since last year, NMAX manufactured by Yamaha Indonesia factory in Pulogadung, East Jakarta, has been exported to Western Europe. Earlier this year, Yamaha also exported NMAX to Eastern Europe, including Russia. In this land of red bears, NMAX marketing is managed by Yamaha Motor CIS (YMCIS) as the Yamaha representative in Russia. The difference is that the Yamaha scooter is marketed under the name of NM-X with a cylinder capacity of 125 cm3. While in Indonesia, the Yamaha NMAX, which first appeared in Indonesia in February 2015, was equipped with a 155cc engine. This large skutik is offered at a price of 27.4 million IDR with an ABS braking system. Yamaha has called this motorcycle Ultimate Sports motorcycle. "They chose NM-X because it looked very modern and it was easier to ride." Consumers also like fuel economy, "said YMCIS, quoted by yamaha-motor.co.id. According to Yamaha, in Russia, the NM-X scooter engine has become the daily bike for motorcycle users. In Indonesia, the NMAX market brings together drivers who used to practice motorsport. In the country, big scooters have stolen the attention of consumers. They were willing to swap their thin motorcycle scooter with the big one. Many of the motorsport owners have moved on, as evidenced by several online advertising sites. The general secretary of the Bandung NMAX community, Asep Heryana, once said that out of about 800 members of the NMAX community, there were not many who previously practiced motorsport. They switched to this big scooter for several reasons. "If it's used on tour, it's not tired, the speed is good and stable, in terms of relative prices.Best performance than the competitors, the body is good.People say it's a motorcycle ninja If you play motorsport, you're tired, "Asep told tirto.id some time ago. The success of NMAX steals the hearts of consumers can be seen from the sales data in the domestic market. This is also corroborated by the trend of Indonesian consumers, who have moved from classic duck bikes to scooters. The Indonesian Association of the Motorcycle Industry (AISI) noted that of all motorcycle sales in 2015, it amounted to 6,480,155 units, of which 4,877,725 units, of which 75% were sales. of scooters. In 2015, overall sales of motorcycles fell by 17.6%, even those of scooters increased by 8.4%. 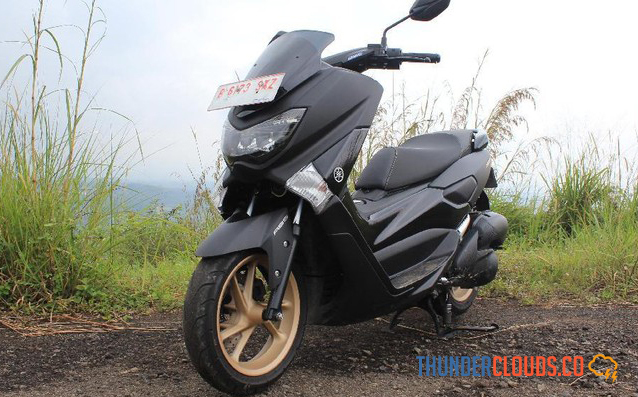 In particular for Yamaha NMAX, it has seen a more fantastic increase since its launch in February 2015. At that time, sales were only 1,916 units. Two months later (April), they almost doubled to 3,299 units. NMAX was quick to break its sales record. In October 2015, there were 15,199. Although Yamaha set a sales target for the NMAX in 2015, it had only 12,000 units. This success continues until 2016. NMAX's total sales in the domestic market totaled 46,769 units in January-March, compared to 57,849 units if they cover exports. For 3 months in 2016, NMAX's market share represented 4.5% of the total sales of different brands of automatic motorcycles. NMAX's total domestic sales for the period January to July 2016 totaled 133,360 units. In the domestic market, sales of NMAX are becoming increasingly popular, with 24,236 units in August, an increase of 53% over July 2016. Total NMAX sales in eight months in 2016 exceeded 157,596. units. In addition to the domestic market, the NMAX export market is also very positive, with exports reaching 24,240 units, or 25% of Yamaha's total exports between January and July 2016. NMAX exports in July reached 4,600 units, a growth of 51% compared to June 2016. In August, exports of scooters. This failure continues to increase to 4,960 units, an increase of 7.8% over July. 0 Response to "NMAX Paved Far to Russia"